Your Inspiration for Life! Sharing inspirational messages and Word-based prayers/lessons to encourage a victorious and powerful life through faith in Jesus Christ. E10: Tell the Mountain to Move! Episode 4: How To Pray? 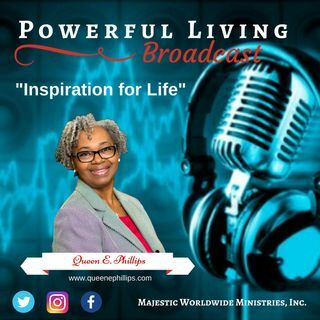 Powerful Living Prayer Principles podcast is a platform designed to inspire and impart biblical knowledge on the universal subject of prayer. This is a monthly produced podcast. Thank you for LIKING, SUBSCRIBING, COMMENTS & FEEDBACK. Inspirational messages, notes, sermons and lessons to empower and encourage listeners to live powerful, purposeful and peaceful lives of faith in Jesus Christ. Thank you for LIKING, SUBSCRIBING and COMMENTING. This is a monthly podcast.